While questioning Supreme Court nominee Brett Kavanaugh about abortion during his Senate confirmation hearings, Senator Dianne Feinstein grossly misstated statistics about abortion deaths before Roe v. Wade. "In the 1950s and 1960s, two decades before Roe, deaths from illegal abortions in this country ran between 200,000 and 1.2 million. That's according to the Guttmacher Institute." The Guttmacher Institute has very close ties to the abortion lobby, but even their numbers proved Feinstein way off base. The Guttmacher study actually reported 200,000 to 1.2 million as the number of procedures. Regarding actual deaths, in 1965, for example, there were 200, according to Guttmacher. When corrected, Feinstein was dismissive of the gravity of her error. "So, a lot of women died in that period," she demurred. Feinstein's distortion of data points to the agenda driving this new discussion from the left to derail the Kavanaugh vote by any means necessary. Nothing, certainly not facts, will get in the way of their attempts to control the courts, regardless of any collateral damage done to the reputation of an upstanding and decent man. Thus we can understand the sudden emergence of Christine Blasey Ford and her claim that Brett Kavanaugh sexually assaulted her in 1982, when she was 15 and he was 17. As reported in The Washington Post, Ford, a vocal progressive and pro-Democrat donor, wrote to Feinstein, the ranking Democrat on the Senate Judiciary Committee, describing the incident but requesting anonymity, in July. Apparently, Feinstein was so moved to keep the letter anonymous that she buried the contents as well as the identity of the author. Per reports, Feinstein did not ask Kavanaugh about this in her interview with him prior to the hearings. Nor did she question Kavanaugh about it during the hearings. Suddenly, two months after Feinstein received Ford's letter, she announced she had information about Kavanaugh that she reported to the FBI. Then a story revealing the contents of Ford's letter appeared in the press. Days later, Ford concluded her "civic responsibility" compelled her to shed anonymity and step forward, armed with a polygraph test corroborating her story and a seasoned, progressive legal advisor. How can anyone take this seriously? Even liberals should concede that in America one is innocent until proven guilty. Particularly with 36-year-old allegations that are impossible to corroborate. Kavanaugh has had a long, distinguished career, serving as counsel in the White House and for the last 12 years as a federal district appeals court judge. Along with this, he has undergone a half-dozen FBI background checks, with no irregularities arising. This is now standard fare for Democrats. When they perceive that our constitutionally defined machinery of government is not serving their far-left interests, they reach into the "dirty tricks" bag and pull out racist or sexual accusations to derail things. This is exactly the swamp in Washington that President Trump was elected to drain. 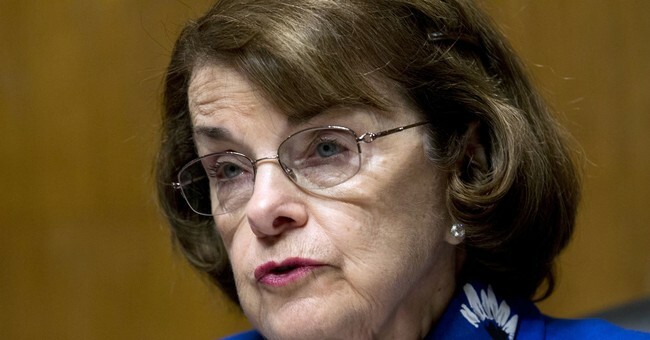 If Feinstein thought Ford's accusations had teeth, then she had two months to vet them. It is a travesty to our system of government and justice to now interrupt the progress of Kavanaugh's confirmation with these tenuous claims. Feinstein had her chance. It is transparent that this is about Democrats wishing to cause a delay until after November, opening the door for a new, progressive nominee, should Democrats gain control of congress. Nothing prevents Democrats from continuing to investigate Kavanaugh after he is confirmed -- if they so wish. The abuse that concerns me now is the abuse of our system of government by devious progressive political operatives. It is imperative that Republicans show leadership now, before the election in November, and move forward immediately to vote on Judge Kavanaugh's nomination.